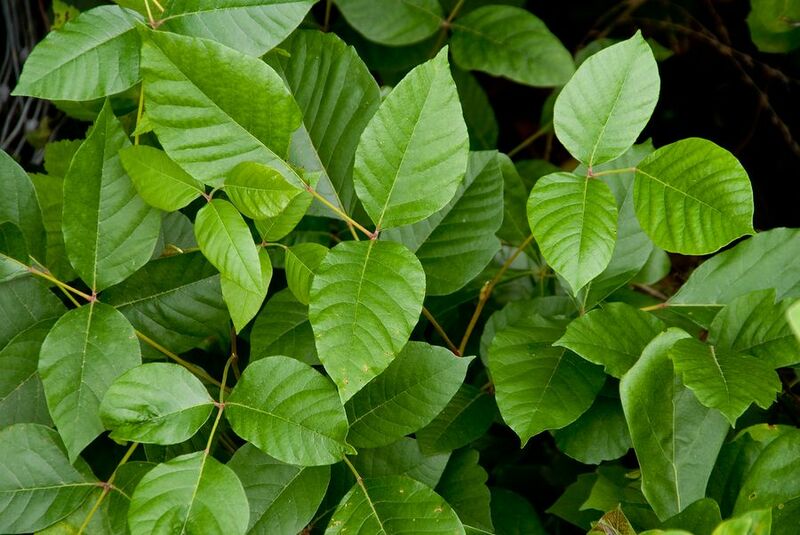 Common Name: Poison Ivy; Poison Oak; Rhus-tox. Rhus toxicodendron plants are well-known for producing an itching, irritating, or painful rash on contact. In homeopathic potencies, the Rhus-t remedy treats symptoms related to skin complaints such as blisters, hives with rheumatism, and types of cold sores. Rhus-t is also known as the “creaky gate remedy” as sore and stiff muscles and joints are worse for rest or on first movement, improve with ongoing movement, and then worsen again with over-exertion. Pains are aggravated by cold and wet weather. People needing Rhus-t are mentally as well as physically restless and their tongue may have a triangular, red tip. Urticaria (hives) with rheumatic pains. Itching and irritation that improves when hot water applied. Herpetic eruptions (fever blisters) around the lips that have a yellow discharge before crusting over. Cracks at the corner of the mouth. Intense burning relieved by applying hot water. Pain in bones and joints. Fever with alternating heat and chills. Voice strengthens with use but is lost again on over-use. Stiffness which is better for gentle movement. Better for heat and hot applications. Worse for damp, cold weather. Restlessness with the pain and discomfort – frequent stretching. Joints or back feel stiff and sore but improve with movement or flexing. Pains and stiffness better for gentle movement and heat. Pains and stiffness worsened by over-exertion. Pains and stiffness better for massage and hard pressure. Rheumatism, lameness, or stiffness that improves with motion and warmth, and is worse during cold, wet weather. Rhus toxicodendron (Rhus-t) is available from our online store as a single remedy and is also included in the following Complexes (combination remedies): Joint – Sore; Joint – Stiff; Restless Legs; Snore Ease; Sprains and Strains; Tear Duct. For acute and self-limiting complaints, take one pill or five drops of the remedy every 2 – 4 hours (2 hours for strong symptoms, 4 hours for milder ones). Once an improvement is noticed, stop dosing and repeat the remedy only if symptoms return. If there is no improvement at all by three doses, choose a different remedy or seek professional guidance. Chronic symptoms or complaints require a course of professional treatment to manage the changes in potencies and remedies that will be required.